Changing your baby's nappy can be complicated - with Rachel's help, you life will be a little bit easier! 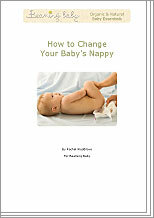 Rachel provides tips and advice for easy nappy changing. A simple, handy routine to make nappy changing easier.